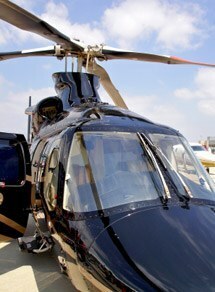 Travel smarter using a helicopter to give you a luxurious and stress-free aircharter experience, providing you with point to point travel, saving you hours on the road or by train. If your journey has already included the comfort and convenience of a jet, you will not wish to face traffic congestion or crowded trains and spoil the experience, so you will be able to link with a helicopter to finish your journey. Enjoy the greater flexibility which travelling in style by aircharter gives you, including point to point travel, getting you closer to your destination. Escape from the constraints of timetables and worrying about the logistics of travelling. You will arrive where you want to be, when you want to be there, without travel concerns. Using aircharter to travel means you are spared the worry of numerous logistical calculations factoring in possible delays by road, rail and even scheduled flights. Efficient travel is enhanced by the ,luxury and comfort that aircharter provides those using this service. You may even choose to have a hamper provided to enjoy en route in your helicopter as you sit back, relax and enjoy the views or prepare for your meeting without worrying about other commuters. Free advice about the best departure and landing sites and the best helicopter for your requirements are all provided as part of the aircharter service. Your bespoke service is provided by a professional, experienced and customer-focused team, with your pilot fully attuned to the needs of yourself and any guests, which will enable you to make a great first impression. Arrive feeling refreshed, ready to enjoy your day ahead or go straight into your meeting having used the time in your private aircharter to focus. Aircharter gives you a personal and discreet service, designed to make your journey more than just a means of travelling. Simply pick up the phone and leave the travel details and arrangements to the dedicated team who will handle all your travel requirements. Using an aircharter service is a lifestyle option for the discerning passenger who values their time and knows how to make the most of it. To find out more about how using aircharter will solve your transport problems with one call please call our professional and friendly team today on 01256 635000.